MRS. Roisin McCann, who has died aged 68, was an outstanding sportswoman, a dedicated teacher and a loving wife, mother and grandmother. 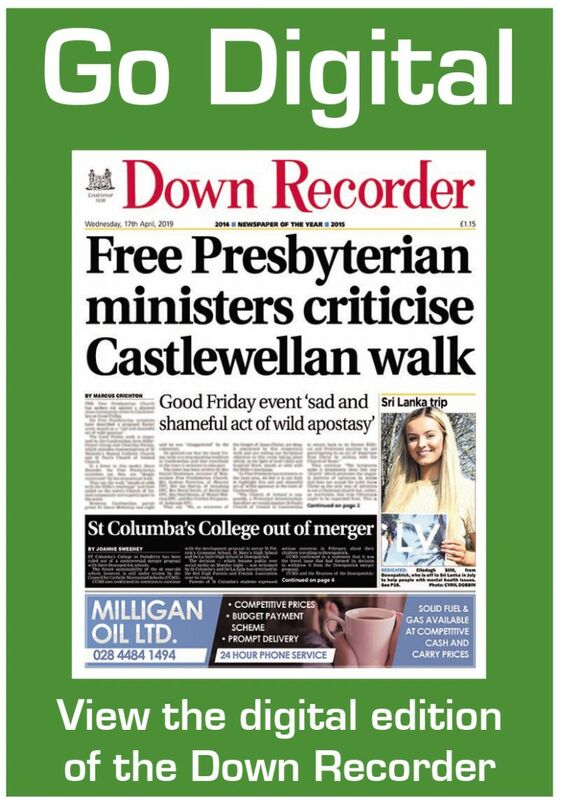 She was also an extremely popular member of the Downpatrick community, as was evidenced by the very large attendance at her thanksgiving mass in St. Patrick’s Church on Saturday, October 29, three days after she passed away in the Northern Ireland Hospice following a long illness. She was born Roisin McGrady, the second of two daughters of Mary and Stanislaus McGrady, Irish Street, Downpatrick. She began her education at the Convent of Mercy Primary School and followed her sister, Phil, to Sacred Heart Grammar School, Lisburn, before embarking on teacher training at St. Mary’s Training College and Stranmillis College. In 1965 she was appointed PE teacher at St. Colmcille’s High School, Crossgar. Her sporting prowess had few bounds. She played netball for Northern Ireland and Pegasus, the leading Belfast club. She represented Down on the camogie field and was a member of the county side that won the All-Ireland Junior Championship in 1968. She also played tennis, ladies’ cricket and badminton to a high standard. However, golf was her first love. For many years she was the leading lady player at Downpatrick Golf Club, which she had joined as a teenager. She won the Lady Captain’s prize three times, represented the club on countless occasions and served as lady captain in 1971-72. She thrived on competition and always played to win. In later years, when illness forced her to give up golf, she turned to indoors bowls and was just as formidable. 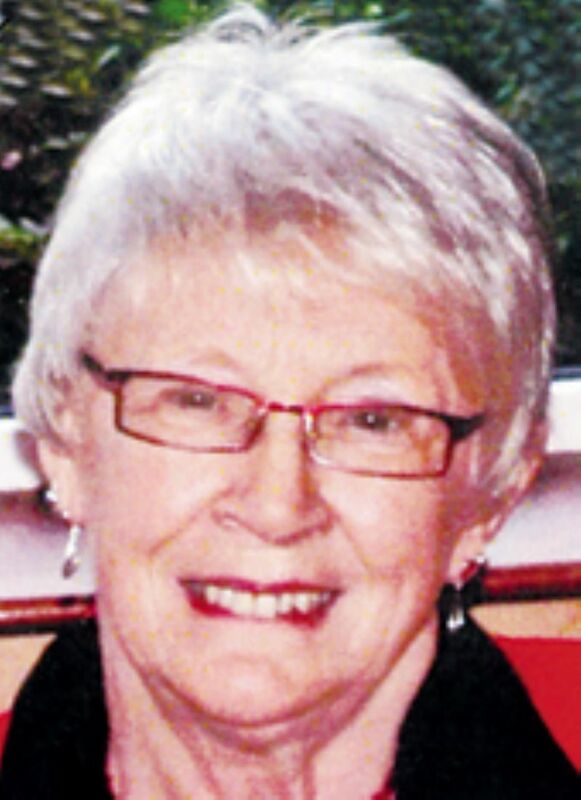 She served as captain of Downpatrick Golf Club’s bowling section. In her early years she was an active member of Downpatrick Young Farmers’ Club and was a founder member of the Russell Youth Club, later to become Patrician Youth Club. She was also a junior Cub mistress for a time. In 1968 Roisin married Frank McCann, a native of Keady, Co. Armagh, and a fellow teacher in St. Colmcille’s High School. They settled in Ardmore Avenue, Downpatrick, which was to be their home for the next 43 years. In the late 1970s she felt she needed a change of career and embarked on a degree course in Religious Studies. She was appointed head of RE at St. Colmcille’s and became an examiner in Religious Studies for the CCEA examination board. In 1995 she was invited by Bishop Patrick Walsh to become a Diocesan Adviser in Religious Studies, a post she held for nine years, visiting secondary level schools to advise on the changing curriculum. She was immensely proud of her children, Bronagh, Aileen and Ciaran, and, later, her 12 grandchildren. No birthdays or family events were every forgotten and presents were chosen and wrapped well ahead of time. Full of fun and rarely without a smile, she was loving, caring, considerate and generous with her time, especially to young people with whom she had a natural affinity. Roisin dealt with illness with the determination and spirit that she exhibited throughout her life. In typical fashion she made a positive impact on staff and patients during her hospital and medical appointments. She never complained about her failing health and always sought to look for the positives in life. It was evident from the visitors to her house and the attendance at her funeral mass that she touched a great number of people in a positive and genuine way. She is greatly missed by family and friends.